5th grade Battle of the Books, Genre Pie and more | Mrs. Foote's Math & Science -- Gifted, Middle School and whatever!! Battle of the Books is in full force, and I applaud your children who have decided to participate. Today was our first battle, and we are eagerly awaiting the results. The 5th grade is participating in Genre Pie. 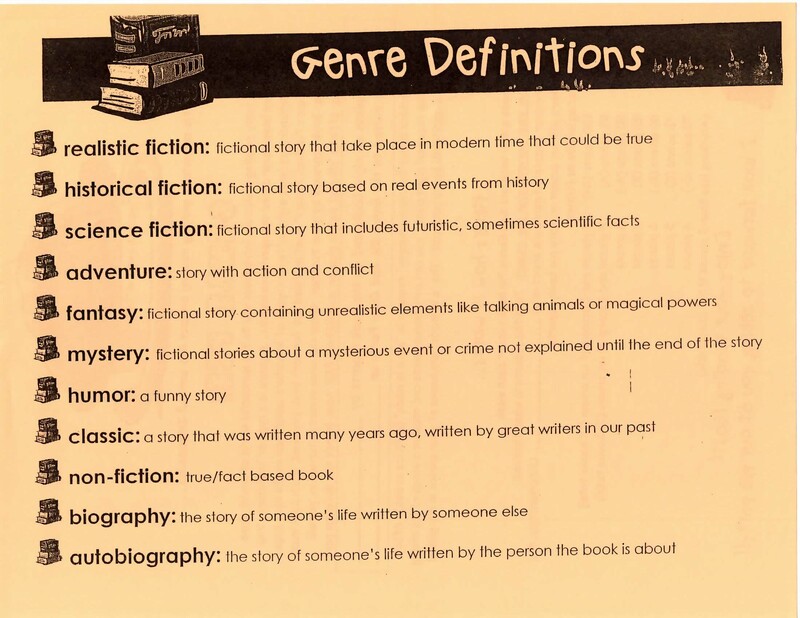 This activity encourages students to get out of their comfort zone and explore other genres of literature. Below is information about the program. 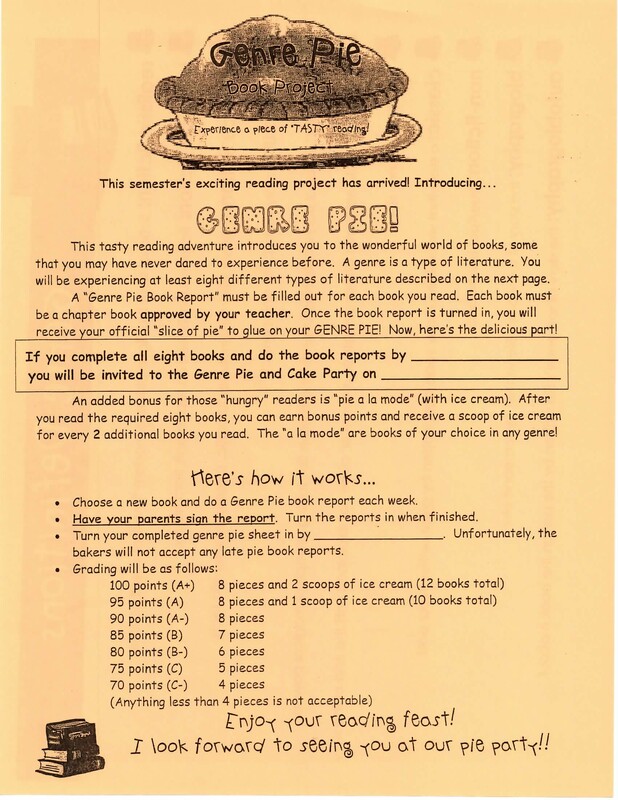 The last day to turn in book reports to be eligible for the pie party is December 14, 2009. The pie party will be held when we return from break. 5th graders are preparing reports on their second patient and will get their third patient on Tuesday. 4th graders ate a sun salad today — eating their radishes. Most of the kids did NOT like the flavor, but it was fun trying them. We only have a little more time with the radishes. Be prepared to have some plants brought home. In math, the 4th grade has done a great job graphing and most have overcome their frustration and mastered the art of graphing in the 1st quadrant. 5th grade has been working on geometry and know more about triangles than they probably wanted to know! Ask them how to show (without a protactor) that the sum of the angles in a triangle is 180.